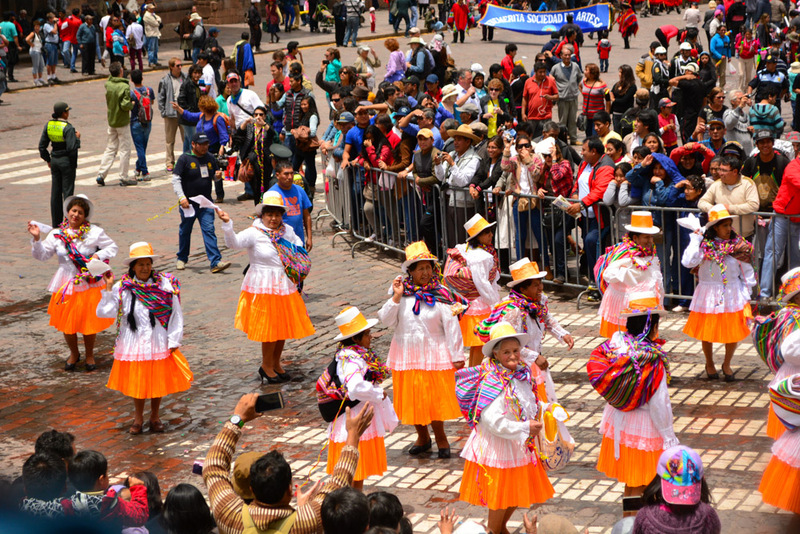 Without doubt, the people of Cusco will say goodbye to Carnival this Sunday for another year with much fiesta, dancing, color, and spirit. 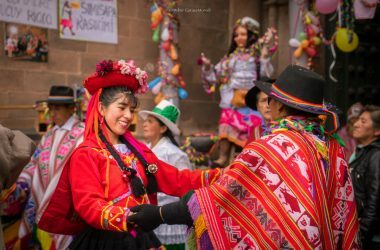 On that day, in the different neighborhoods of the city and throughout the region of Cusco people will once again put on their colorful Carnival dress that represents our different provinces. This celebration draws people to play, dance, and socialize in order to have a good time. All will celebrate, children, youths, and adults, that day which falls on the same one as the feast of St. Valentine’s. A total celebration will take place in the Imperial City as the day of friendship and love joins the eighth day of Carnival. Friends will go into the street to play with foam and colored flours, concentrating in all the city’s plazas. Groups of friends are also putting together plans to go to other places to celebrate the end of Carnival and St. Valentine’s. 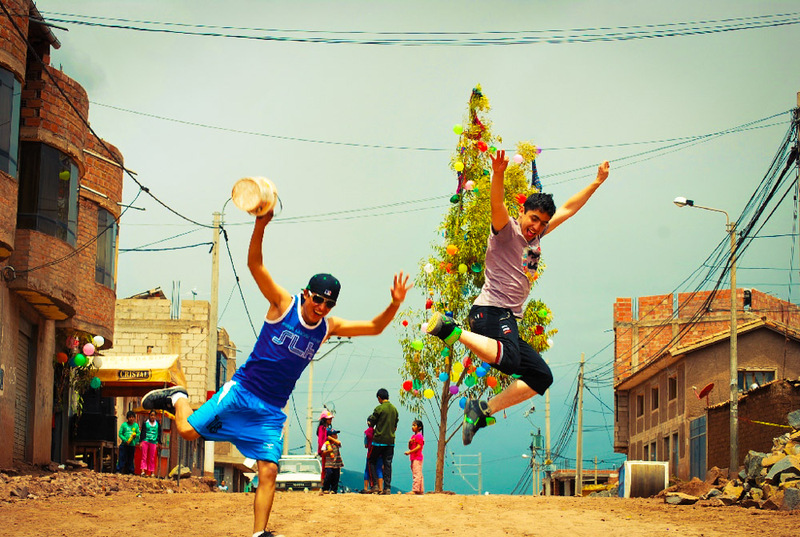 Beginning very early in the morning, the neighbors (vecinos) or residents of Cusco’s various neighborhoods will get together to help the Cargo Holder, the carguyoc, plant the yunza tree and decorate it with balloons, cloth, and gifts that the carguyoc and his wife buy in order to dress it with color and surprises. People from many different places and nationalities, local and foreigners, will arrive to see the people dance in a round around the tree. They will see all the organizers from the neighborhood wearing colorful dress, their faces painted with colored flour and with bright streamers around their necks. All around it will be festive and a celebration. People will click glasses of beer, chicha, and frutillada together as all have fun, dancing to the rhythm of the music, the huaynos carnavaleros, or carnival-style huaynos. On this Sunday the 14th, there will be yunzas at many points in the city. But if you want to have fun in safety while being part of this celebration there are three places I recommend you to go if you are visiting Cusco or if you just want to experience a small sample of our customs. The second place recommended for fiesta and color is the typical neighborhood of San Blas. In its plaza and some of its streets the Eighth Day of Carnival is celebrated with the yunza, traditional dress, and dances. 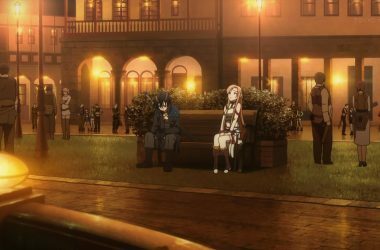 This neighborhood is very popular and draws people from all over the world. For this celebration visitors have lots of fun in company of the people of San Blas, laughing, drinking, and dancing to the single rhythm of the Huayno Carnavalero. My third recommendation is the Plaza de Armas of the city of Cusco. In the plaza you will find a multitude off locals and visitors who gather to say goodbye to the feast by playing with water, flour, and foam. For this day the public and private institutions fo the city prepare dance troupes to carry out a pasacalle, or dancing parade, all around the plaza. Winners in the competitions from celebrations of Carnival in the south end of the Valley and the Sacred Valley will also come and perform. In which ever of these places you find yourself, the dances are spectacular. 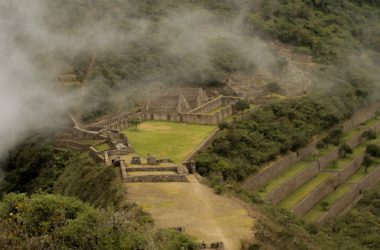 You should not miss them if Sunday finds you in Cusco. 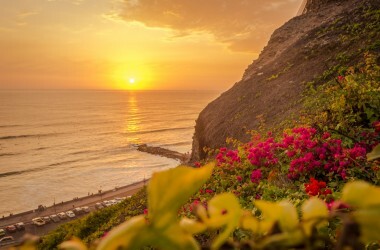 Previous ArticleMemories of Copacabana and Lake TiticacaNext ArticleIt is Valentine’s Day …Eve!